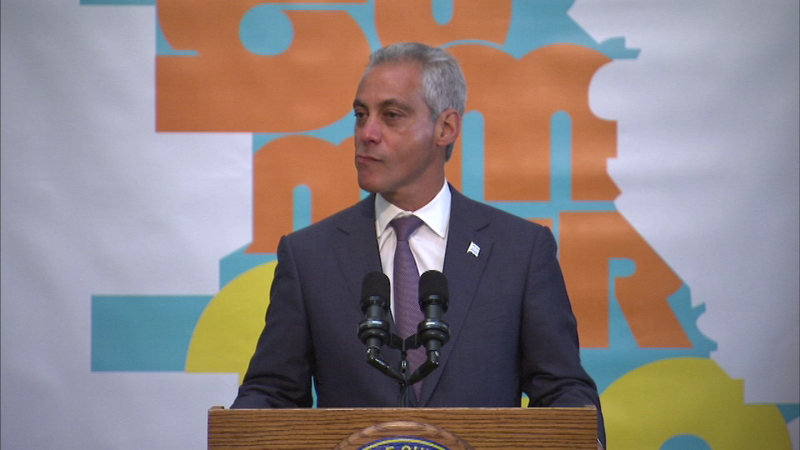 Chicago Mayor Rahm Emanuel got emotional when talking about Chicago's summer youth employment initiative. CHICAGO (WLS) -- Chicago Mayor Rahm Emanuel got emotional when talking about Chicago's summer youth employment initiative. One Summer Chicago offered job opportunities to nearly 25,000 of the city's youth. At an event Monday morning celebrating the program's success, the mayor says he was touched after listening to one man's story of how the program got his life on the right track. Emanuel plans to expand the program for more jobs next summer.